Btw thanks for visiting my blog and you lovely comment dear! How about staying connected via Bloglovin? I love blazers also! I agree with what you've said Ms. Cathy! :) I love those collections and your picks! They're great! Also, I love how these celebrities wear their blazers! Cropped tops are perfect in this summer. Love these outfits. It's a very nice selection. Absolutely love this trend, especially at Balenciaga! I have a few cropped bustier type tops that I can't wait to wear! I feel like I'm too old to wear a crop top! But it's a fun look for the summer. 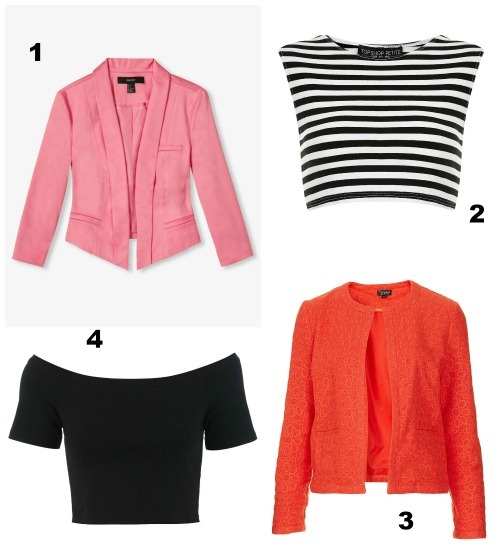 I love crop tops and the added blazer really gives it a touch of sophistication! Great post. I love this kind of top, but it claim a great body! In 90's we trust for this summer. I love all these elegant outfits! Thanks for you sweet comment! I definitely need to start adding more crop tops to my summer wardrobe. Excited to read more about your style tips, they're great!! Just become your newest follower on GFC. i love these looks & the use of blazers. Lovely inspiration! Thank you for your lovely comment!